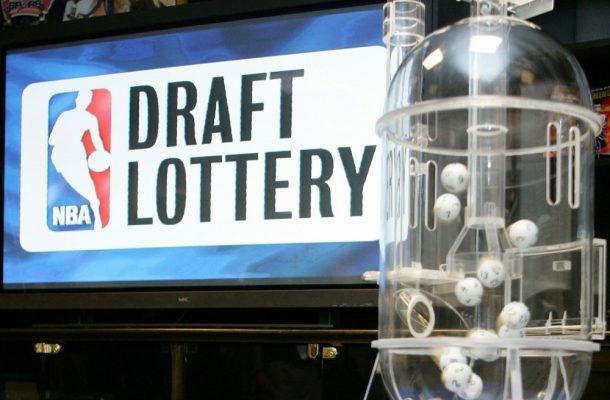 The new NBA lottery reform provides the same draft odds for the worst three teams and smooths out the odds of the remaining non-playoff teams. Here are my thoughts on one potential impact it may have – how certain teams approach the trade deadline. First things first, do not get things too twisted. Bad teams that know they will be bad are not suddenly going to have a major incentive to make a playoff push. The apparent goal for this reform is to avoid giving non-playoff teams a reason to try to bottom out in-season, a decision that robs fans of a competitive product. That being said – I still believe that tanking will occur, merely in a different form. 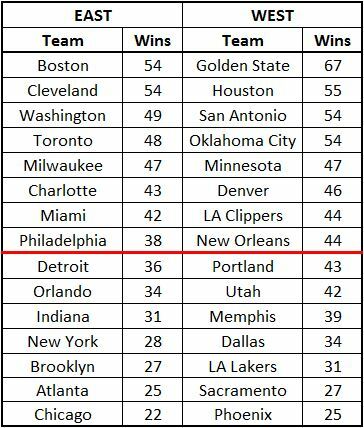 NOTE: please do not react to where any team sits; I just looked at a few of the win total projections and made a few adjustments from there to make the point below. Imagine that the reform goes into place next summer instead of 2019, and that you are in control of one of those teams seeded 7th through 10th in the Western Conference. Your plans likely will not be impacted much; even if you miss the playoffs, it would require a LOT of losing in order to reach even a double-digit percentage chance at a top-5 pick (the non-playoff teams with the best four records all have under a 10% chance at receiving any of the top five picks in the draft). Now imagine you are the GM of Detroit, Philly, or even Orlando. Suddenly, you have a big decision to make. Is it worth doing whatever it takes to grab that last playoff spot? If you become a seller at the deadline, the 8th worst record is very much within striking distance, which would give that team a 19% chance at a top-3 pick (roughly twice as likely as the current system) & a 26% chance at a top-5 pick. This lottery reform will have numerous implications that will be covered and analyzed thoroughly over the coming weeks and months, but this particular consideration could have significant buyer/seller ramifications at subsequent trade deadlines.